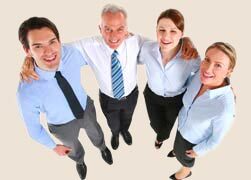 North Carolina HOA Management | Community Association Services, Inc.
Community Association Services, Inc. has been providing management services in North Carolina for over 35 years. You're in the right place, whether you're looking for management for an HOA, a condo association, or a large gated community. With CAS, your association will run smoothly, supporting and maintaining your community’s value. You’ll get managment customized for your needs. From websites and landscaping to legal questions and accounting, CAS has you covered. CAS is never far away, with local offices across the state. CAS has been providing association management services to North Carolina communities since 1976. Additionally, an Attorney and a Certified Public Accountant are on staff. Between its longevity and expertise, CAS is uniquely qualified to manage your HOA or condo association. You can find more information about CAS's HOA management services on the services page. When you're ready for a customized quote, just request a proposal. For over 35 years, CAS has served HOAs, condo associations, and other community associations across North Carolina. Two CAS managers have ranked in the top 10 for their class by the Council of Community Association Professionals.